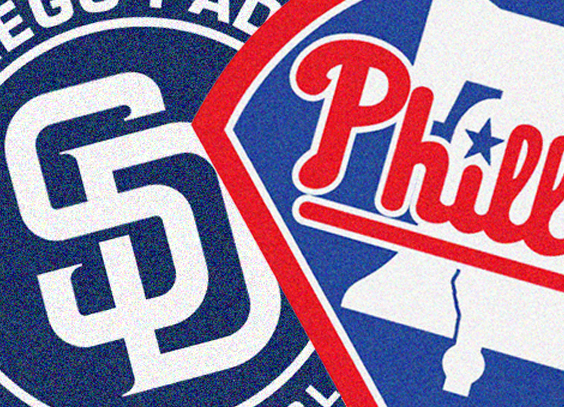 The Philadelphia Phillies open a three-game set with the lowly San Diego Padres at Petco Park beginning Friday night. It's a crucial series for the Phillies as the Padres enter the series with the worst record in the National League while Philadelphia's lead over the cruising Atlanta Braves in the divisional race sits at just a game. In case you were wondering, the Phillies and Braves square off seven times over the final two weeks of the season, meaning this weekend is Philadelphia's chance to establish some a buffer as the schedule reaches mid-August. Don't discount the Nationals just yet either. They sit 5 1/2 games off the pace in the NL East. Following the weekend series out west, the Phillies return home to host baseball's best offense in the Boston Red Sox. The club will then welcome the New York Mets to Citizens Bank Park and likely face aces Noah Syndergaard and Jacob deGrom. All this to say, the three-game series with the Padres means a ton as the divisional race continues to heat up. Zach Eflin will start the opener for the Phillies, aiming to remain hot after tossing his best performance of the year the last time out where he surrendered three runs over eight innings against the Miami Marlins. The 24-year-old righty is putting together a solid year for the Phils, sitting 8-3 with a 3.61 ERA over 15 starts. The Padres counter on Friday with Jacob Nix who will be making his Major League debut. Both clubs enter the series with identical .235 team batting averages, the second-worst mark in the Majors behind only the New York Mets. The Phillies were shutout on Wednesday in their series finale against Arizona. Vince Velasquez started but tossed just four innings, struggling with command of his secondary pitches before being lifted. The offense struggled too, scoring just seven runs over three games.